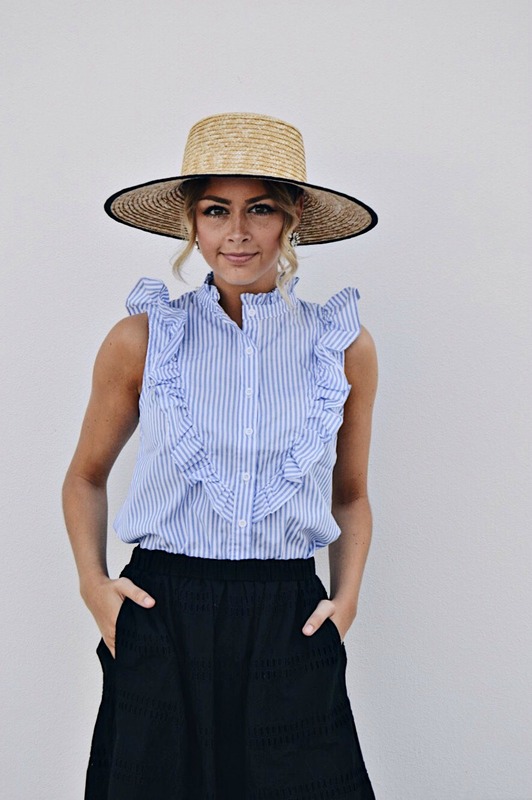 To play up on this seasons latest trend, I wore this classic blue and white ruffled blouse with a black midi skirt for an afternoon out with my husband. I love how effortless and chic this outfit felt. 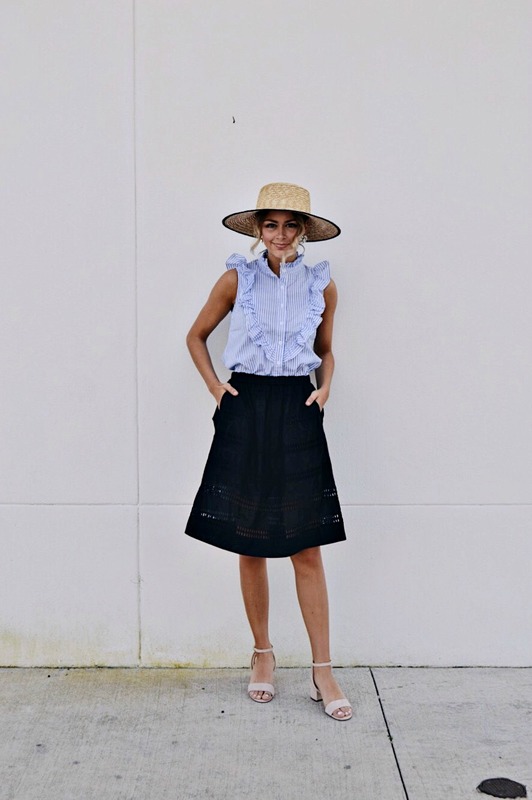 I think this ruffled top/midi skirt combo would be perfect for brunch with the gals or even a casual summer wedding. The options are endless! 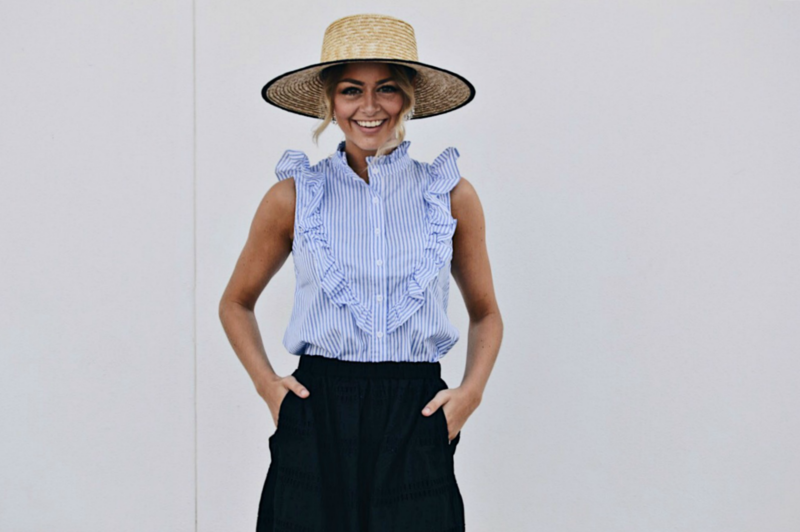 Give me a wardrobe full of tops like this and I'll be one happy lady!